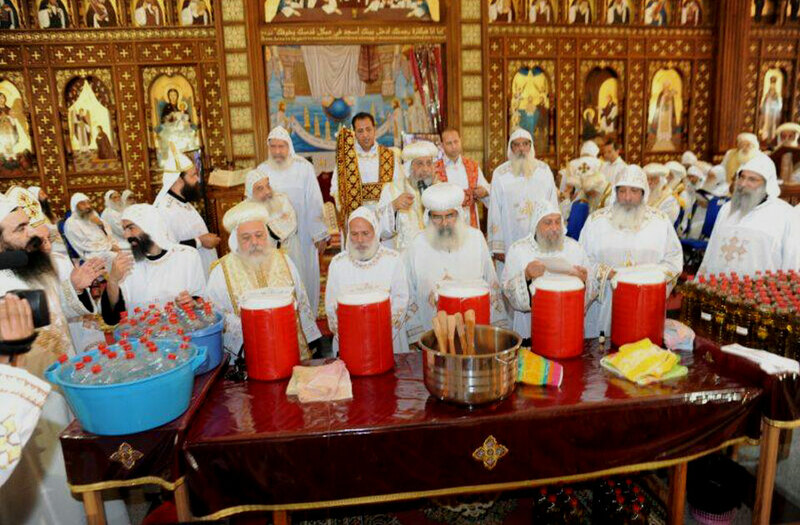 On Tuesday, Pope Tawadros II made the holy chrism for the first time since his ordination in November 2012. 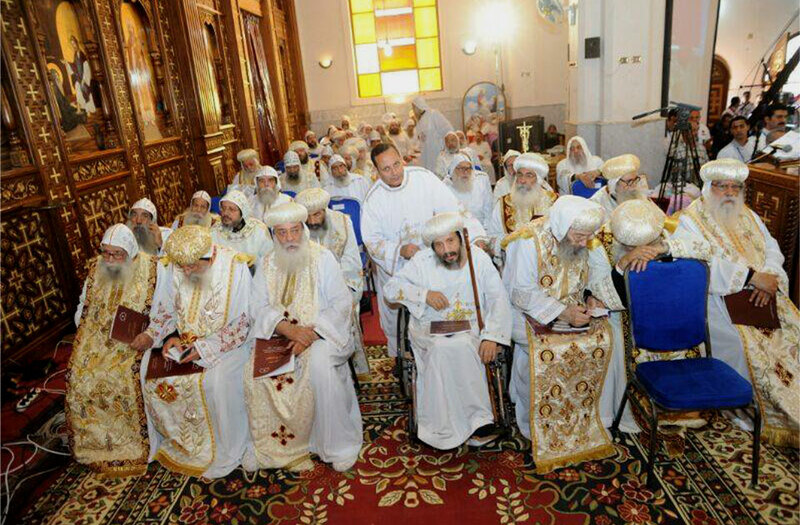 The event marks the 38th time the chrism has been made in the Coptic Orthodox Church. 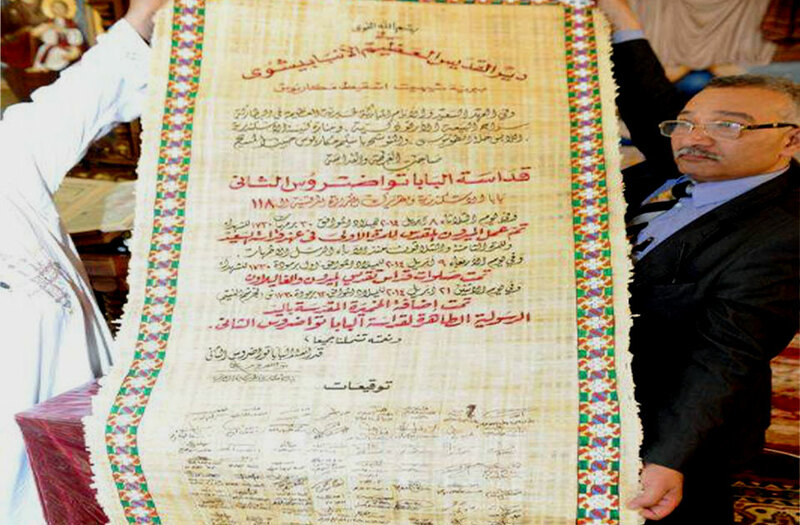 The late Pope Shenouda III made it only seven times in 40 years. What is the holy chrism? 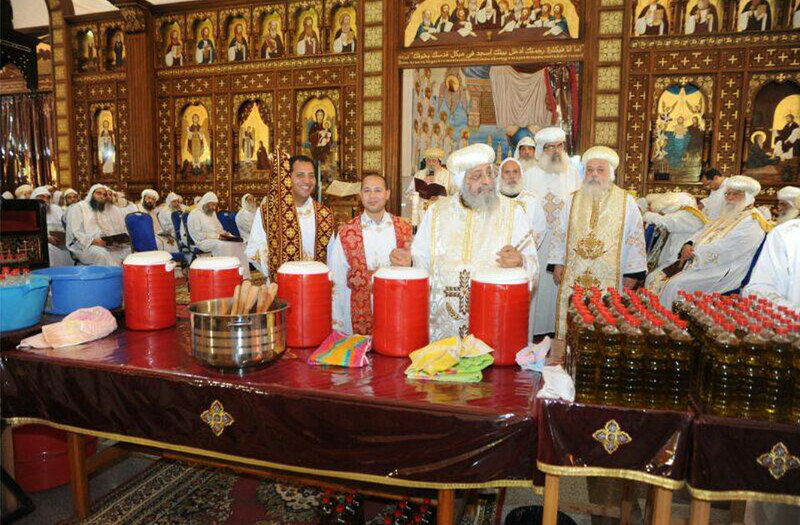 Chrismation is one of the seven sacraments of the Coptic Orthodox Church, four of which are known as the secrets of salvation and which every Christian is expected to perform. These four secrets are baptism, chrismation (confirmation), communion and confession. The other three secrets are marriage, priesthood and anointing the sick. The chrism is a mixture of virgin olive oil and a range of aromatic essences. 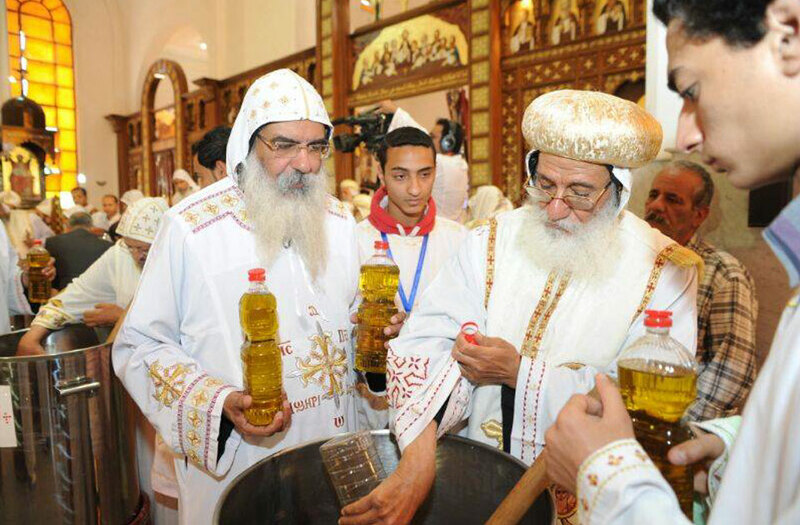 Some of the substances used in this holy anointing oil were mentioned in the Old Testament book of Exodus. 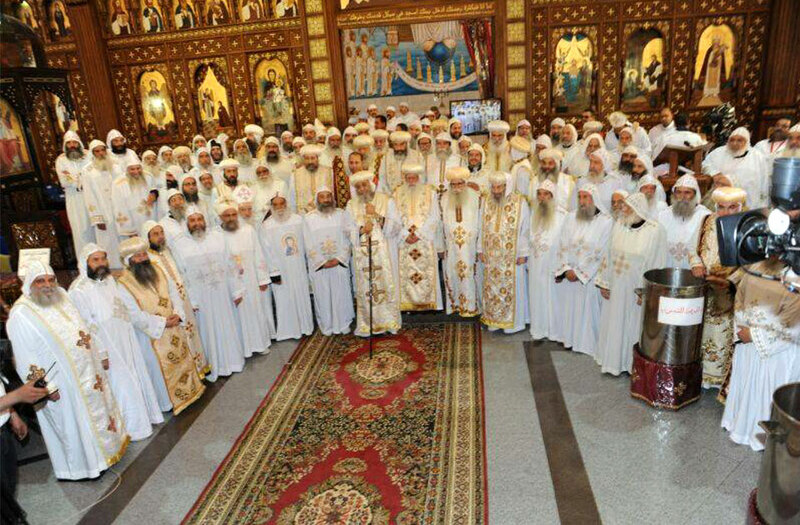 Chrismation is a well-known rite in the Catholic Church, Armenian Apostolic Church, and the Eastern and Coptic Orthodox Churches. 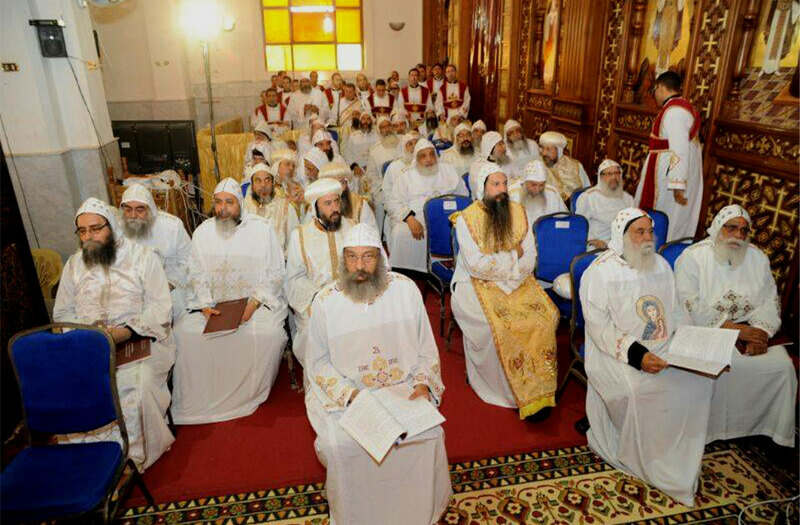 The apostles and disciples of Christ were the first to make the holy chrism, as referred to in John 2:20 and 27. 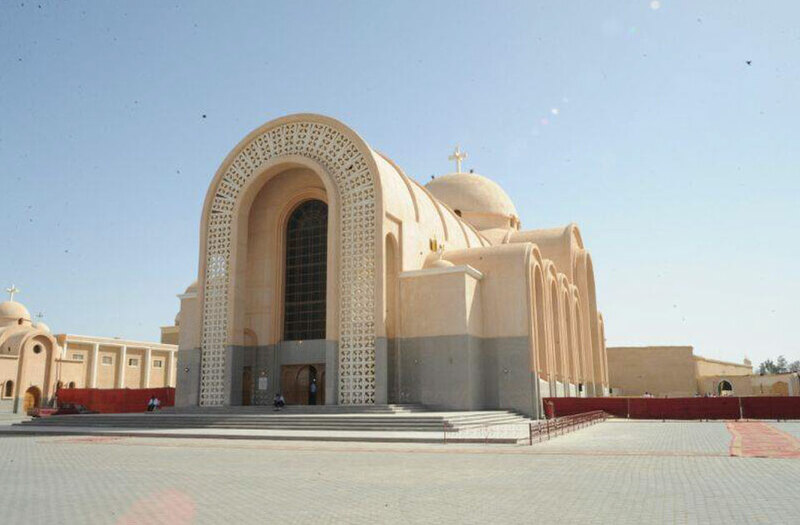 After this, Saint Mark brought the chrism to Egypt and its use has continued consecutively throughout the ages of the Coptic popes, who are the successors of Saint Mark. It is used in several occasions. After the priest finishes the actual rites of baptism, he anoints the baptised on the crowd of his/her head with chrism, saying, "God the Father of our Lord Jesus Christ has freed you from sin and given you a new birth by water and the Holy Spirit." 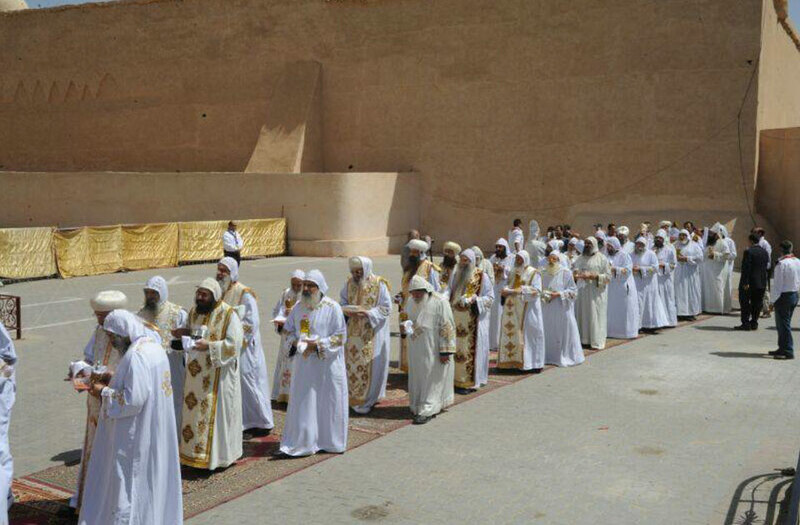 Bishops anoint their palms and foreheads with chrism during their ordination rites. 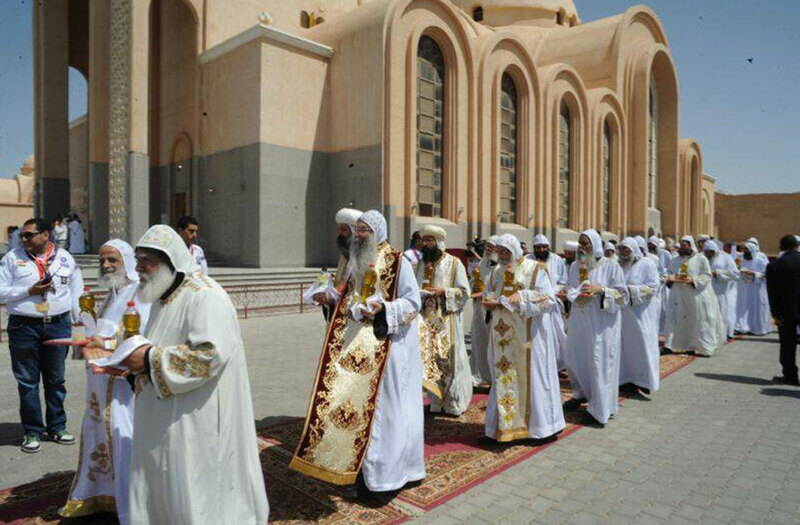 Chrism is also used in a church's dedication ceremony. Here the bishop anoints the altar, pouring holy chrism on the middle and on each of its four corners, and then anoints the walls of the church, marked by crosses in twelve places (referring to the twelve apostles) or four places (referring to the cardinal directions). 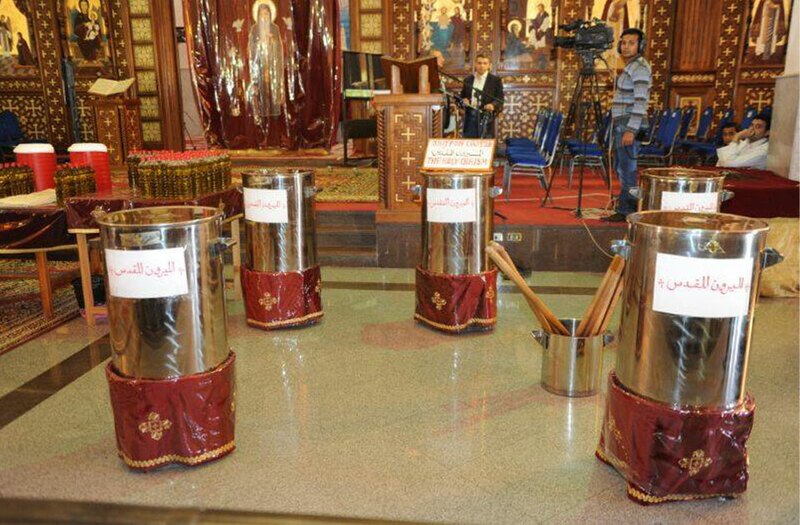 Photos: Courtesy of spokesman of Coptic Orthodox Church, Facebook page.